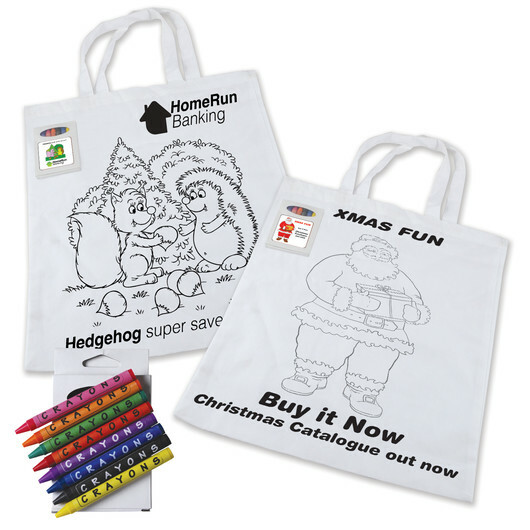 A great item for younger demographics, these bags are creative, fun and versatile. 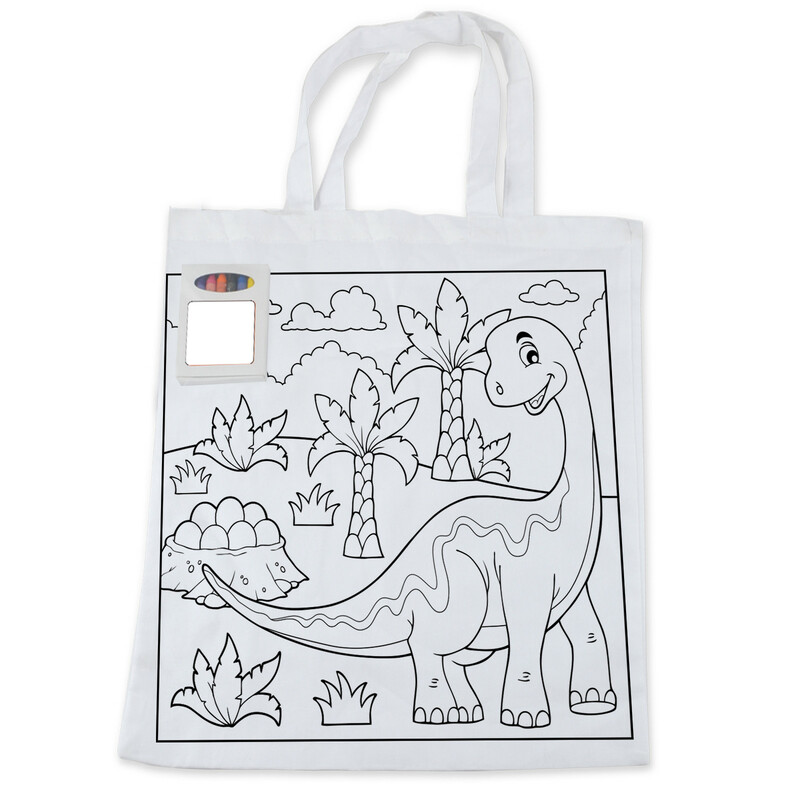 The colouring craze has hit Australia! Why stop at just books? 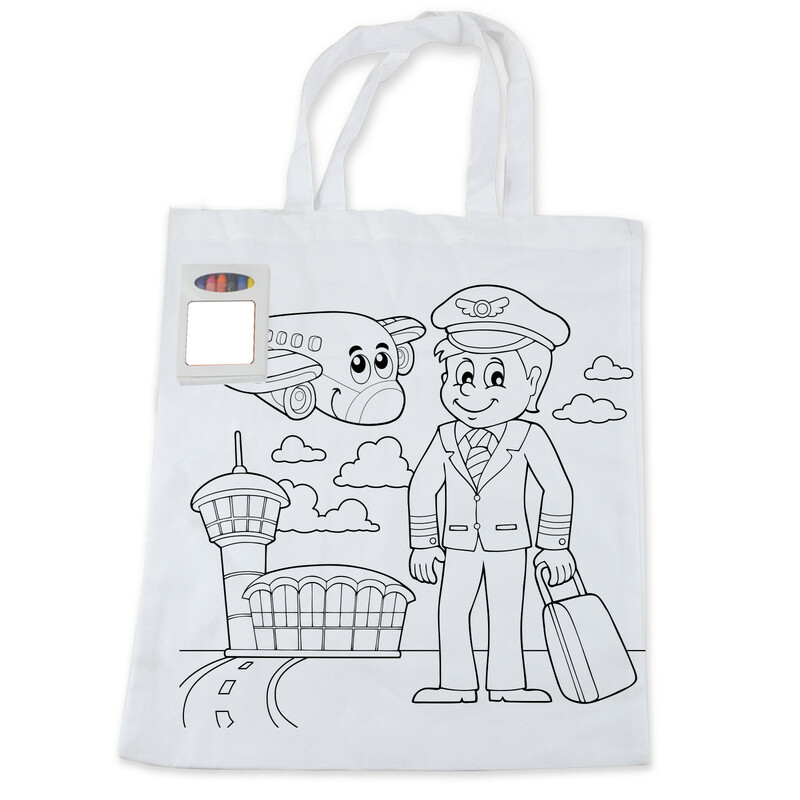 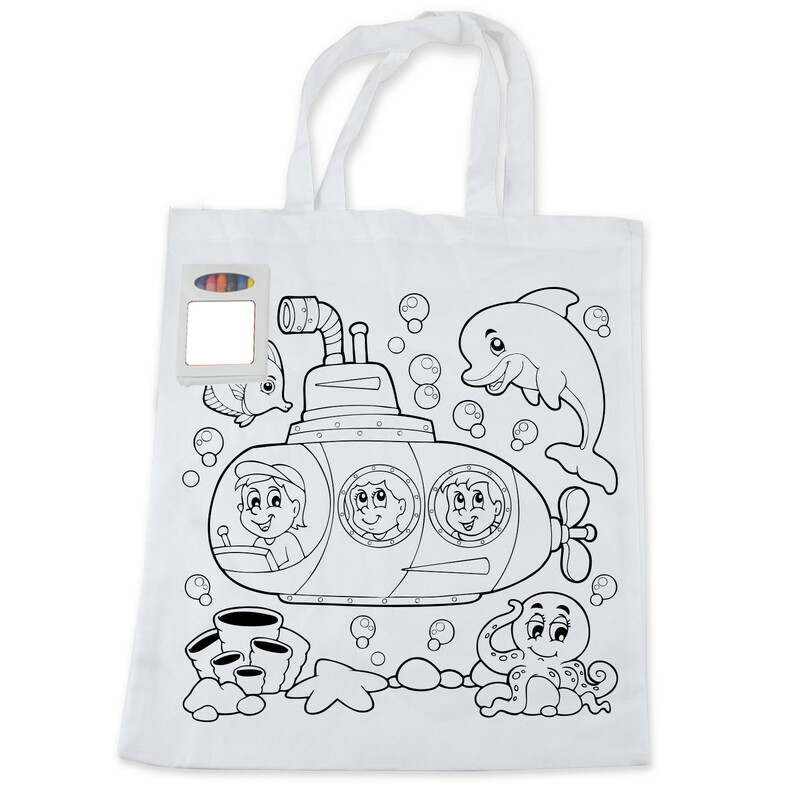 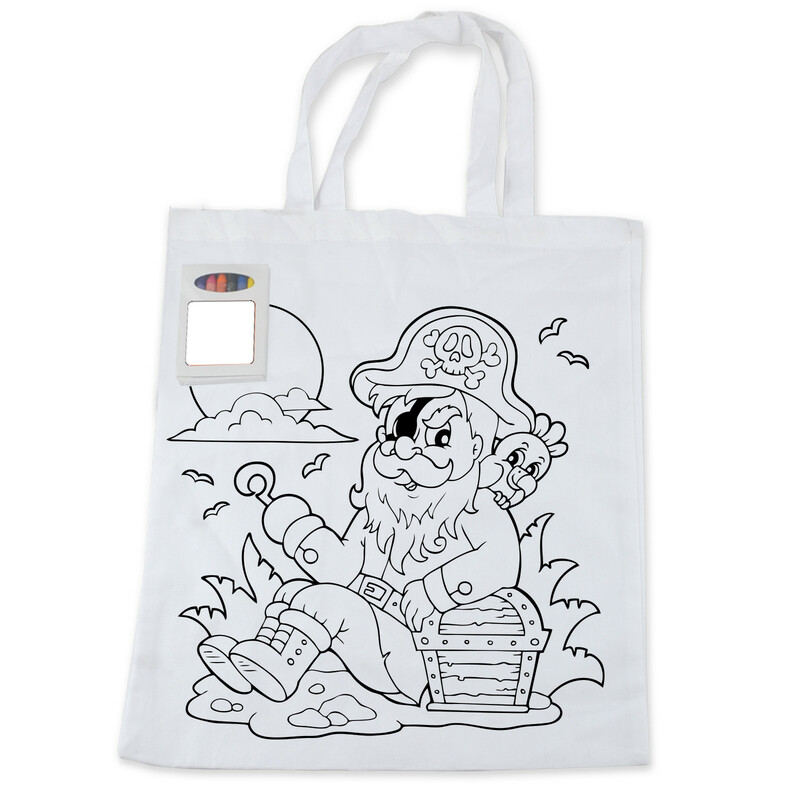 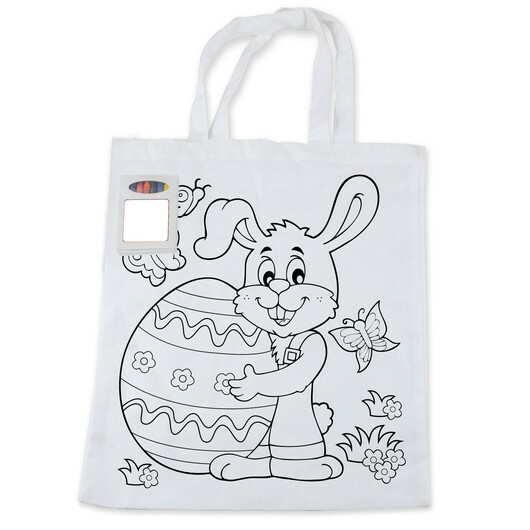 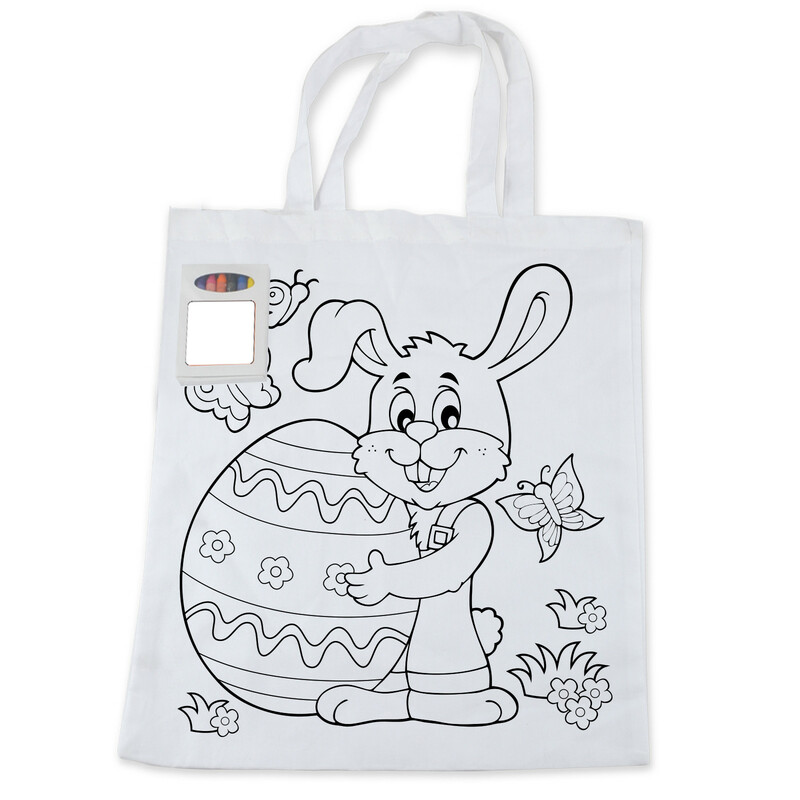 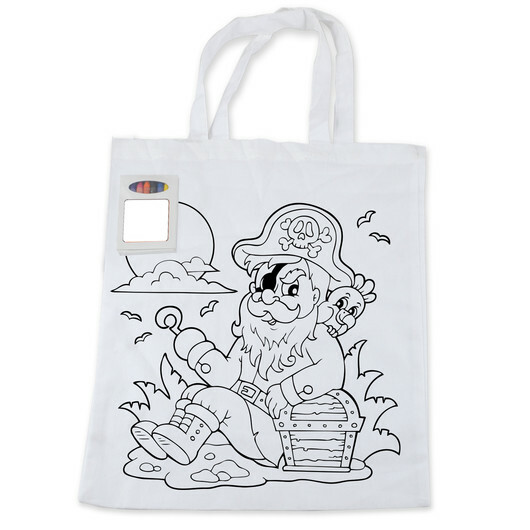 These custom design printed cotton short handle cotton tote bags are great fun for all ages. 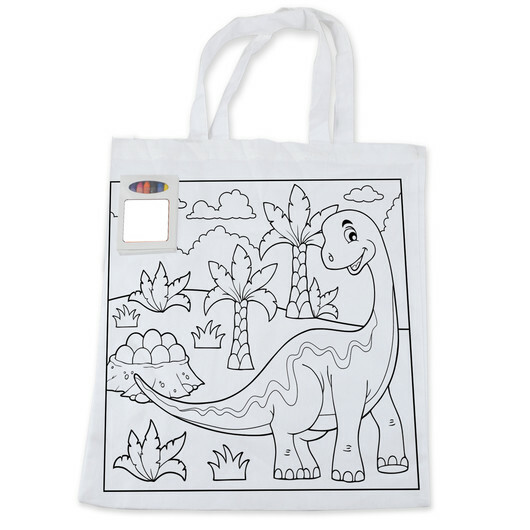 They also include a colouring pack of 8 assorted non-toxic coloured wax crayons for free. 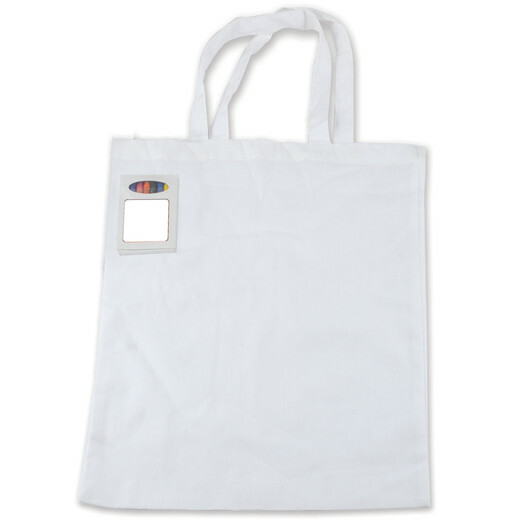 A great promotional item that you can also use for shopping.